Two learners from the Eastern Cape were hosted by the UNESCO UNISA Africa Chair in Nanosciences and Nanotechnology (UN2ACN2) in preparation for the 34th Beijing Youth Science Creation Competition. As the only entry from Africa, the learners, Peter Theron and Refuoe Faltein, represented their country, continent, and schools at the competition, held in March this year at the Beijing Technology and Business University, Liangxiang Campus. They were awarded the silver medal for their project, Atmospheric power pilot-plant for out of grid rural areas following their presentation of a laboratory prototype and a poster of the device, which aims to tap lightning as a source of energy. Pictured at the 34th Beijing Youth Science Creation Competition held in March this year are Peter Theron (Grade 10: Focused High School, Eastern Cape), Dr Mthuthuzeli Zamxaka (South African Agency for Science and Technology Advancement), Dr K Fadel (international jury member), and Refuoe Faltein (Grade 11: Mosa Sibi Senior Secondary School, Eastern Cape). The annual competition, supported by the Beijing Science and Education Development Foundation, is a major scientific and technological action which aims to encourage innovation and its application as well as promotion of the scientific culture within the learners. This year’s theme was sentiment and sharing–my scientific dream. Among the competitors from different districts of Beijing, there were 36 projects from several teams originating from 17 nations. Following the deliberation of the international jury, composed of experts from various disciplines, including international review, technology assessment, and seven counsellors review groups, the South African team placed second. Elaborating on that, Maaza said together with other South African learners, Theron and Faltein form part of the UN2ACN2 Adopt a Learner programme, a partnership between the chair and the South African Agency for Science and Technology Advancement (SAASTA). They were assisted by the chair to build on their concept after their project won first prize in 2013 during Learner Focus Week. The week is an initiative of the Department of Energy to support government’s drive to improve mathematics, science and technology education, especially amongst learners in rural areas of South Africa. They were also mentored by Nontembiso Ramabele, physics science teacher at Mosa Sibi Senior Secondary School, Eastern Cape. A group photo of the winners at the 34th Beijing Youth Science Creation Competition held in March this year at the Beijing Technology and Business University Liangxiang Campus. Explaining the technicalities, Maaza continued, the project aims to build a low-cost laboratory demonstration power station harnessing atmospheric electric charges from lightning for applications in out-of grid rural areas. The static electric current tapped from the atmosphere will be guided to an elevated conductor. This captured electric current will be converted to an alternating current and possibly used to charge a battery of a cellphone, for example. Later this year, the learners will be nurtured and mentored so they can further their research while simultaneously promoting the Adopt a Learner programme nationally and internationally. 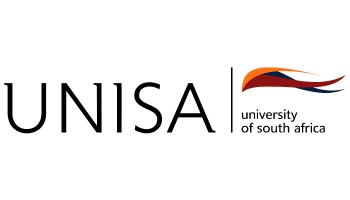 “The U2ACN2, SAASTA, NRF and the Science and Technology Directorate at the French Embassy will also collaborate to allow the learners to spend a training period in France. In the long term, they will be mentored so they can engage in a science and technology career through Unisa,” said Maaza.